Council Member Charles Allen who dropped by the meeting on his way to a public hearing on the nomination of Lewis D. Ferebee to be DC’s new school chancellor, called the plan a transformational one which would knit the community together. He said he was very proud of the project and urged the community to stay engaged. More than 50 residents turned out for the meeting. DGS representative Tommie Jones is standing at far right. 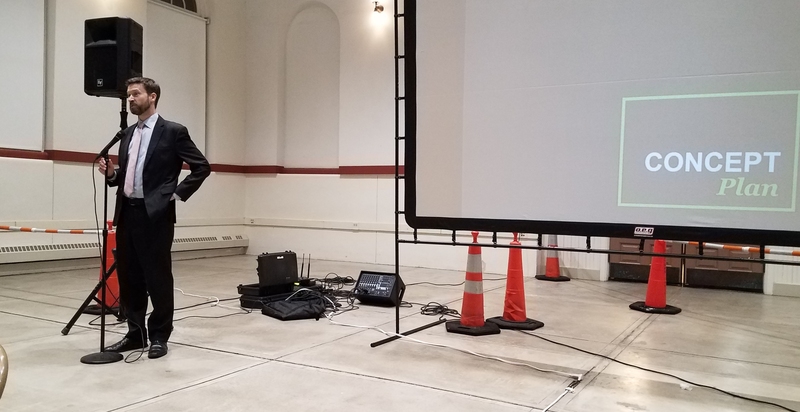 The DC Department of General Services (DGS) hosted a community meeting in the North Hall of Eastern market on Wednesday night to unveil concept plan number two for the redesign of the Eastern Market Metro Plaza. More than 50 residents showed up for the presentation, and had an opportunity to offer input. 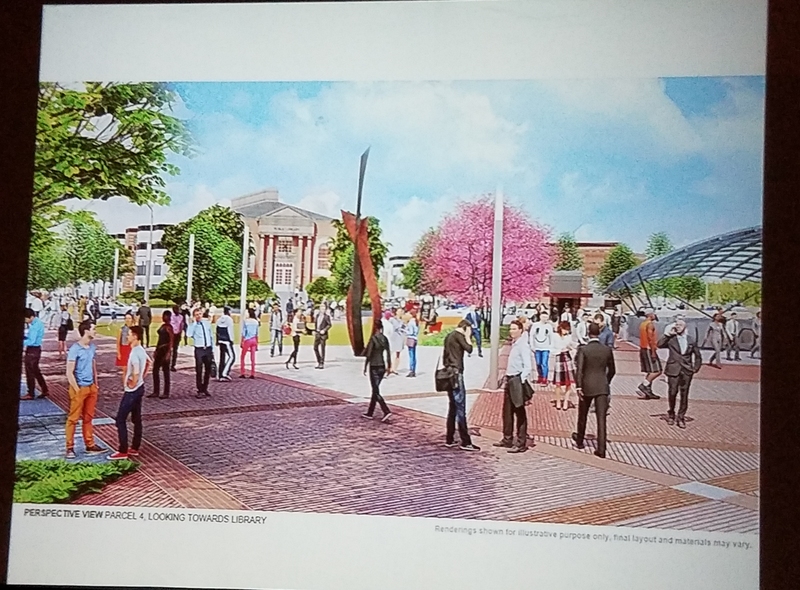 DGS representative Tommie Jones said there had been 732 responses to the online survey regarding suggestions for the redesign of the plaza. 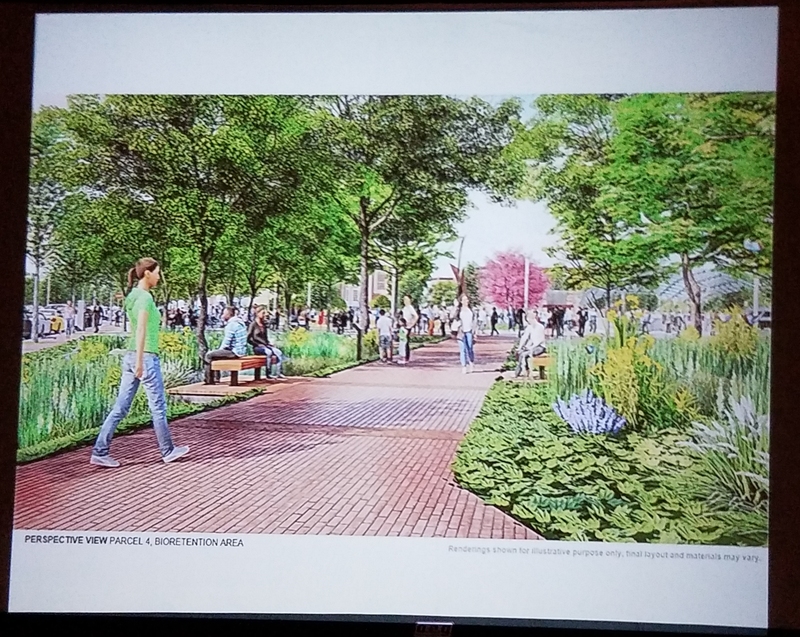 The design company Moya Design Partners will continue to refine the concept into the 3rd (and hopefully last) concept to present to the public on April 3. That will be followed by schematic designs and permit drawings. The goal is to start construction in the fall of 2019. One of the outstanding questions to be resolved is how to spend the $5.9 million available for the current first phase of the project, whether to put it all into the playground parcel or spread it around. 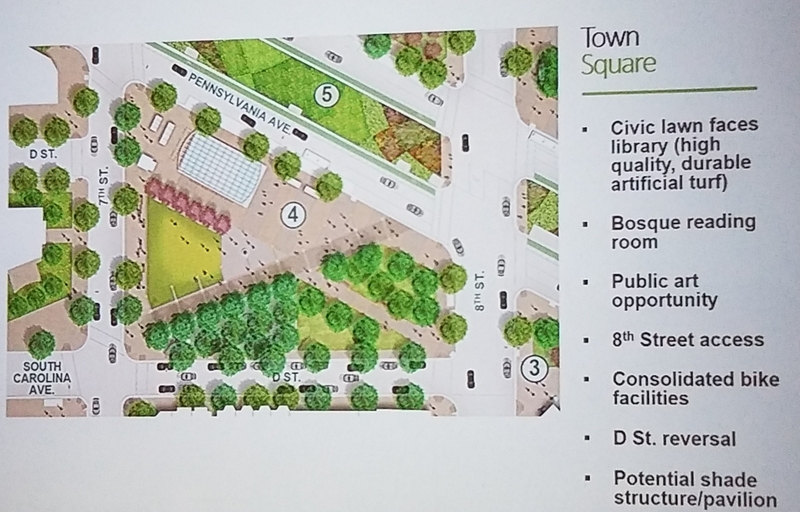 Some of the ways which the second concept differs from the first are the inclusion of more trees and the proposed water feature near the entrance to the Metro which is now a public art element. A splash park is now featured as a part of the playground. 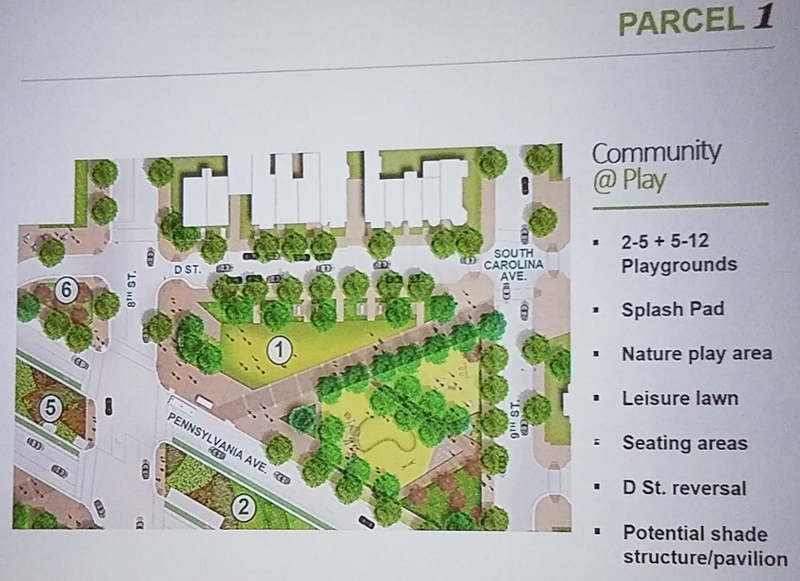 In response to questions and concerns from the audience, designers said that public restrooms were being considered, that lighting will be incorporated into the 3rd concept, and that drug related activity which has been a feature of parcel 1 where the playground will be located, is being taken into account. 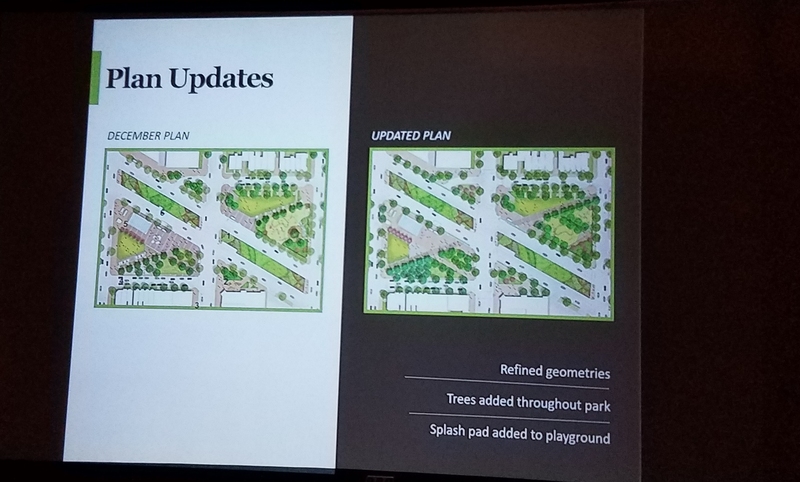 Residents of D Street on the north side of the playground parcel continue to express strong reservations to the plan to reverse current flow of traffic on that one way street, citing their belief such a move would compound the traffic congestion at the 8th and D Street intersection. 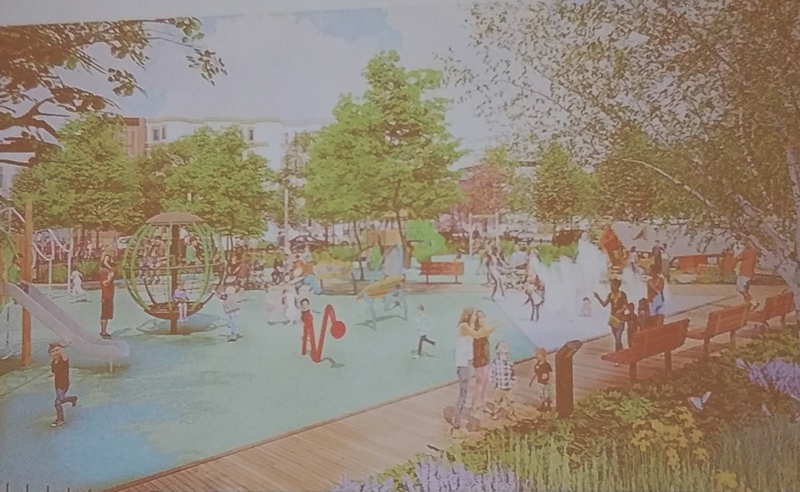 DGS says that installation of playground equipment could begin this spring using PUD funds from the Hine developers which were negotiated for the community by ANC6B. Equipment purchased and installed with those funds would be incorporated into the final design. 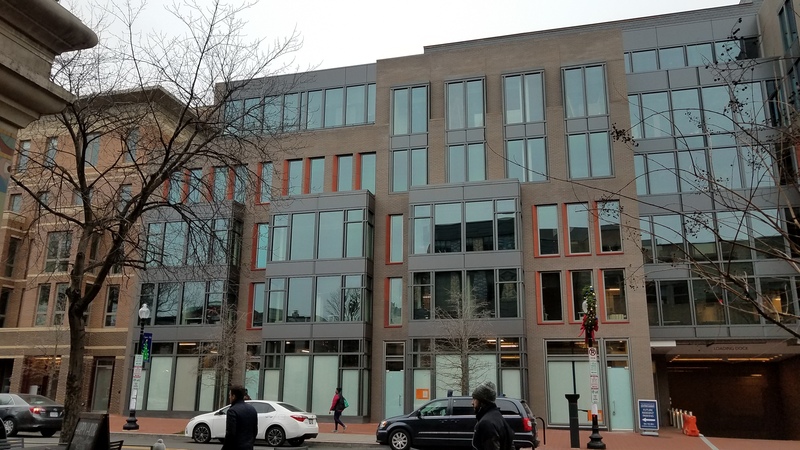 ANC6B Transportation Committee meets at 7:00pm in the Conference Room, Ground Floor in the Hine Project (700 Pennsylvania Avenue, SE – entrance to 700 Penn is to the left of the Trader Joe’s entrance and to the right of the security desk). This meeting has been moved to avoid conflict with the next community meeting of the Eastern Market Plaza project, scheduled for 2/6. Compilation of suggested Locations in 6B for bike racks for dockless bikes. Discussion on possible traffic flow Improvements to the 1300 Block of E Street, SE. 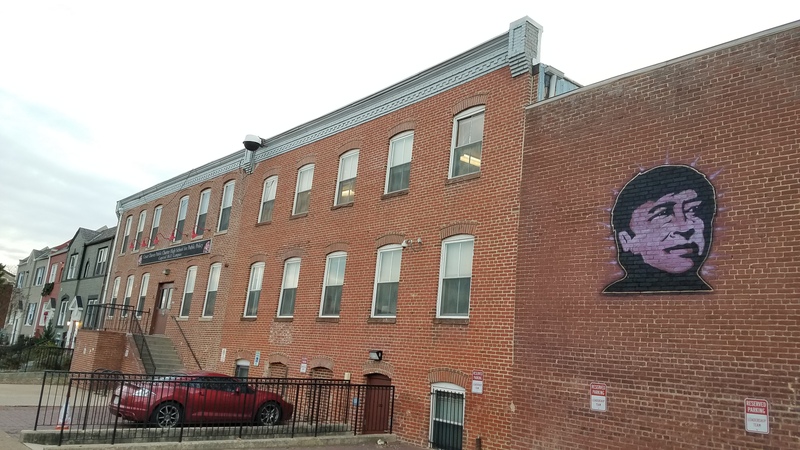 [LATE BREAKING] Consideration of a petition to add the unit block of 15th Street, SE, to the RPP system. Support for the Capitol Hill Classic 2019. 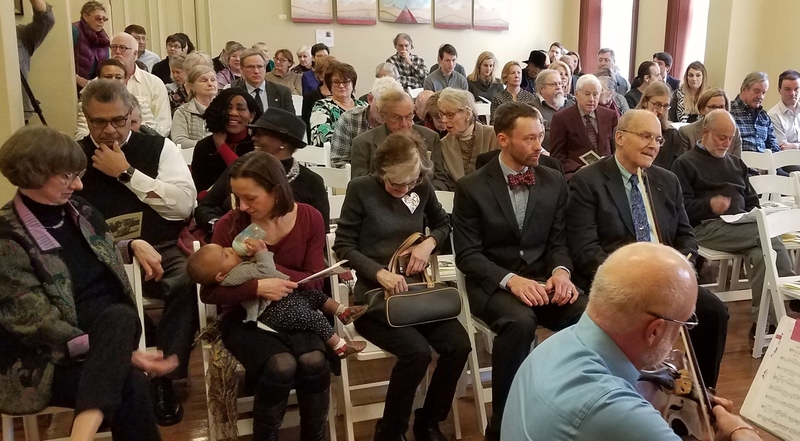 Historic Landmark Nomination: Southeast Branch Library, 403 7th Street, SE; nominated by Capitol Hill Restoration Society. 411 4th Street, SE, Historic Preservation Application for concept/two story rear addition. 1322 D Street SE, Zoning Adjustment application – special exception to construct a two-story, rear addition to an existing, attached principle dwelling unit. Second community meeting on Eastern Market Plaza Redesign, 7:00pm, North Hall, Eastern Market. 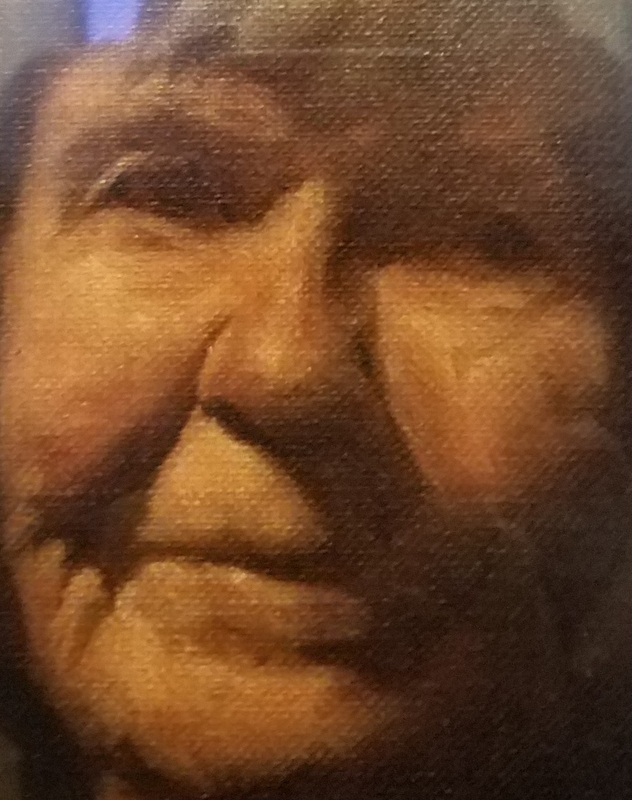 Update on the planning for the redesign, and continued community input on the plan. 224 C Street, NE, Historic Preservation application for concept approval for a second story garage addition. 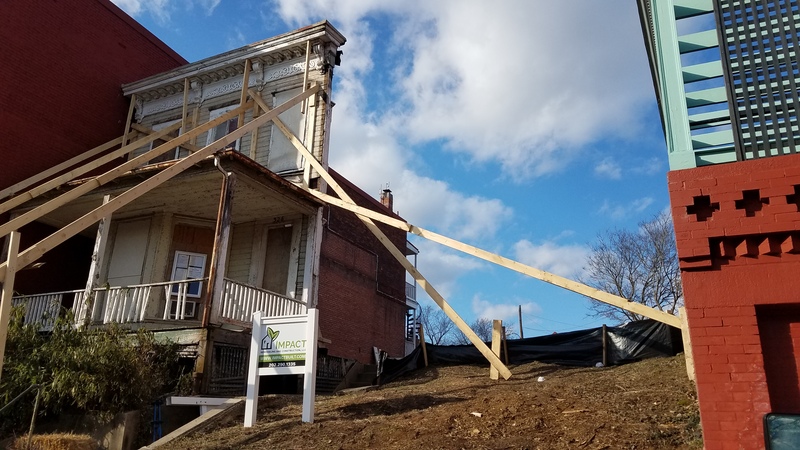 918 7th Street, NE – Zoning adjustment application for a special exemption to construct a third-story addition to an existing two-story attached principal dwelling. 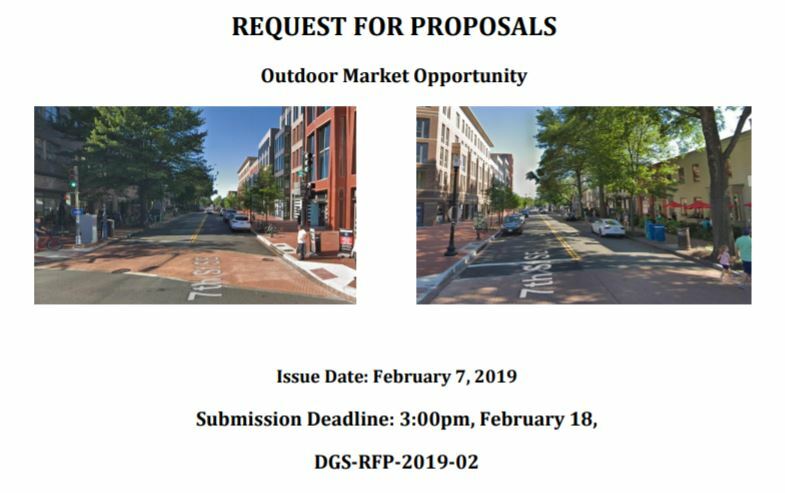 209 M Street, NE/Uline Arena – Zoning adjustment application VBR Brewing Corporation, for a special exception under the use regulations to permit live performances in an eating and drinking establishment. 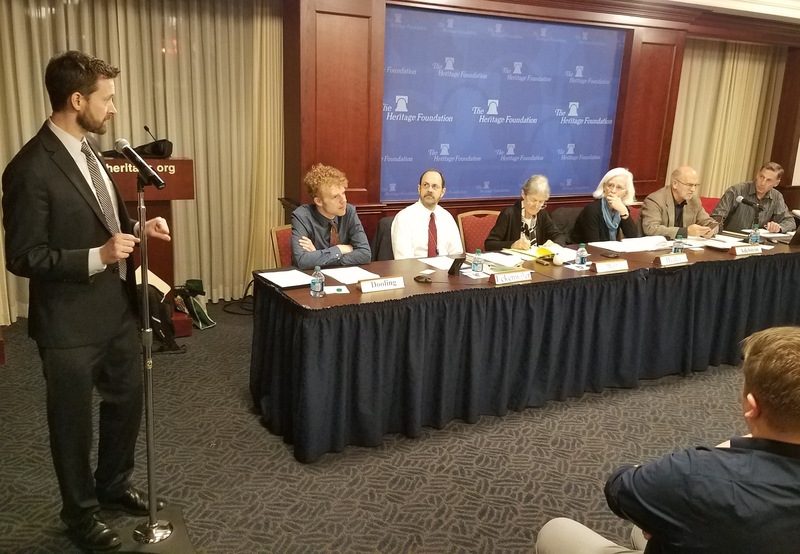 2019 Council oversight hearings – Discussion of proposed topics for ANC 6C testimony. The Capitol Hill Garden Club meets at 7:15pm at Northwest Library, 330 7TH Streets, NE. 700 Wine, LLC. t/a The Eastern; 700 Pennsylvania Ave SE; New Retailer’s Class “C” Tavern License operating as a wine bar and serving a limited food menu. Sidewalk Café with 30 seats. Total Occupancy Load is 75 with seating for 55. 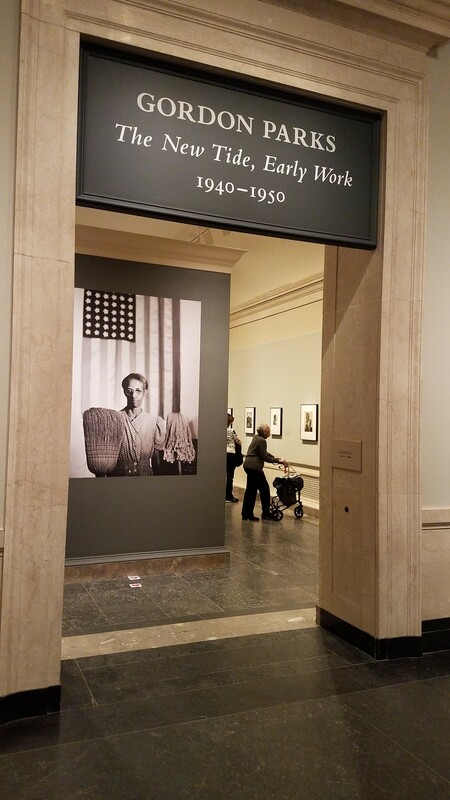 Hours of Operation and Consumption Inside Premise and On Sidewalk Café: Sunday through Thursday 9am-2am. Friday and Saturday 9am-3am. 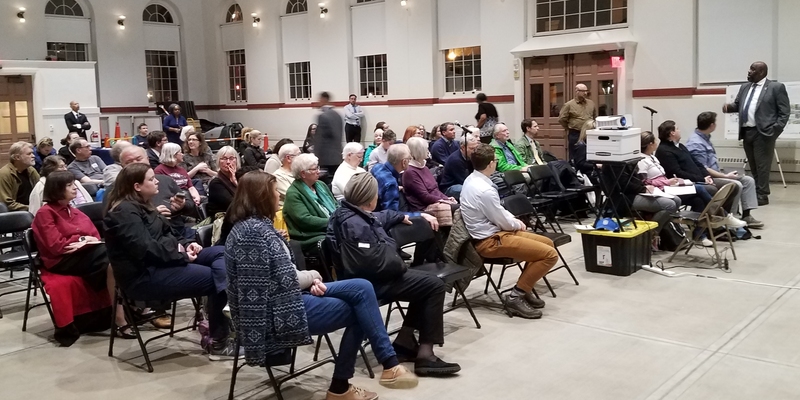 ANC6C Transportation and Public Space Committee is scheduled to meet at 7:00pm at Kaiser Permanente Capitol Hill Medical Center, 700 2nd Stteet, NE, Room G3-G4.